Primary School No. 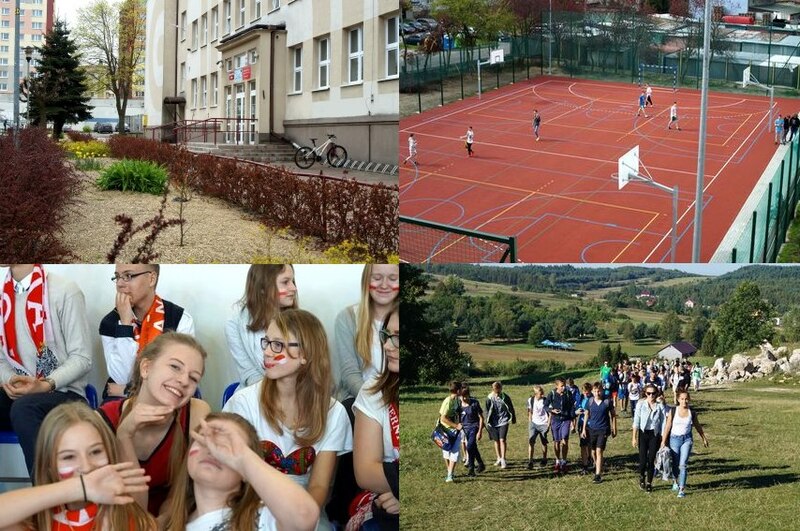 7 in Częstochowa was created in September 2017 from Lower Secondary School as a result of the Polish education reform. We have 383 pupils in our school. They are 6 – 15 years old and attend to 16 classes. In addition to general, we also have sports classes with the specialization of football and athletics. Our school day starts at 8 o’clock and finishes between three and four. After compulsory, formal lessons our students can take part in additional classes, during which they have possibilities to develop their artistic, scientific or sport interests. The latter is the most popular. The nice atmosphere connected with the commitment of the headmistress and the teaching staff influences the progress of our students and contributes to their successes in various fields. Our City – Częstochowa is is located in south Poland on the Warta River. It has about 230,000 residents. The city with Jasna Gora Monastery is one of the major pilgrimage centres of the Christian world. It is also the second biggest – after Lourdes – centre of the Marian cult. Every year Częstochowa is visited by 3 – 4 million pilgrims and tourists. Częstochowa is also a very important academic city with many universities and places where students spend their free time. Our City is located in the Jura Krakowsko-Częstochowska – a hilly Upland with Jurassic limestone rocks, stretching from Czestochowa to Krakow. This amazing area is situated in South – central part of Poland. It is famous for its cliffs and valleys. Several nature reserves are situated around Częstochowa. The biggest one is Sokole Góry (the Falcon Mountains) with limestone hills and picturesque white rock clusters hidden in the beech forest. Underground there is a mysterious world of 46 caves.